It is broadly accepted that around 60 to 70% of people eats roadside cuisines or street foods once or twice in a week. Vendors in India offer everything from fast foods, breakfast and ready-to-serve snacks such as chaats, gapagap, bhel, sandwiches and vada pav. You can buy from stall, food carts, standalone kiosks, full-furnished outlets. In fact, street foods are convenient, affordable and easily available anywhere around the country. People don’t need any reason to taste delicious panipuri, arguably consumer of every age group showed interest in ready-to-eat meals offered by street vendors. Indian consumer market is growing at rapid rate and there are massive business opportunities that can be utilized to develop a profitable franchise. 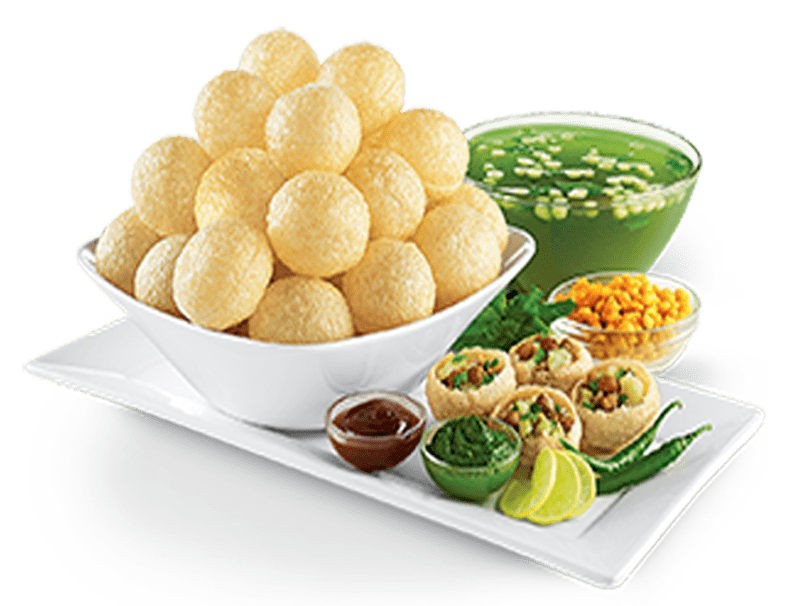 Chaat franchise is the example of innovations and if your mouth demand something exciting and outstanding, visit Chatar Patar – chaat franchise stores which are running successfully in different locations across the country. Whenever you travel to Mumbai, Delhi, Kolkata and Chennai you can see number of people eating-out on the streets and they feel comfortable under open sky instead of sitting in a well maintained restaurant. Chatar Patar , figured as India’s 1st panipuri brand has introduced amazing foodservice concepts that not only gives natural environment feel but also offer wide range of yummiest and freshest cuisines. 1. The tasty strawberry flavour: Panipuri is most loved and famous street food throughout the country, most local vendors are earning around 500 to 1000 INR through panipuri business. Over last few years, people want more flavours but local vendors can’t experiment too much hence Chatar Patar is perfect destination to taste toothsome strawberry panipuri flavour. Apart from this, you can taste several aromatic flavours includes: litchi, orange, kokam, adrak, etc. 2. The zesty Delhi papdi chaats: Chaats are savoury snacks generally a north Indian recipe which gained popularity in west, south and east India as well. 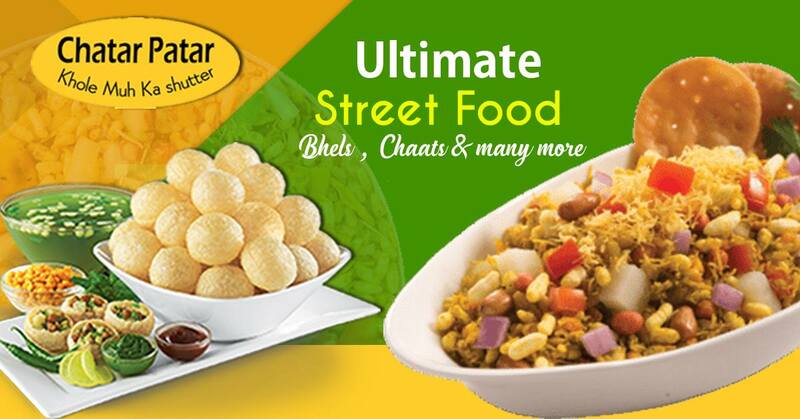 At Chatar Patar, you will get the new taste, fresh and nutritious ingredients used to prepare Delhi papdi chaat. This mouth-watering recipe is enough to forget everything and one of the reasons to visit nearest chaat franchise. 3. Aloo chakri, crispy and delicious cuisine: At Chatar Patar, customer can experience internationally inspired cuisines, Aloo chakri is one of them which is Indian version of tornedo potato. Famed for its amazing street snacks, Chatar Patar is serving exotic cuisines at reasonable rates. 4. Chaatizza, a blend of chaat and pizza:In this fast-paced lifestyle everyone want to eat fresh and hygiene foods in standard foodservice formats. Chatar Patar is consistently experimenting with existing recipes to make awesome foods. Chaatizza is perfect dish to quench your hunger. 5. Zappi:Another flavourful, yummy and fresh snack that gives your tongue new taste. Italian, Mexican and garlicious zappi are special varieties that exclusively available at chaat franchise. 6. Chocolate gapagap: It is a stuffed gapagap, chocolate is used instead of potato. Chocolate gapagap is iconic panipuri flavour that prepared by chiefs at chaat franchise. 7. Sandwich:It is common ready-to-eat snacks, mainly fast food brands offer sandwiches but Chatar Patar has developed extraordinary sandwich such as: herb chilli sandwich, garlic cheese sandwich and masala sandwich. 8. Tea and coffee: Chatar Patar is a complete street food house, aromatic tea and coffee is also available.